Custom Made Penn part by Maxed Out. "This project was such a no brainer it is beyond silly. We are still using a shift lever designed in the 1930's by Otto Henze, the founder of Penn reels. 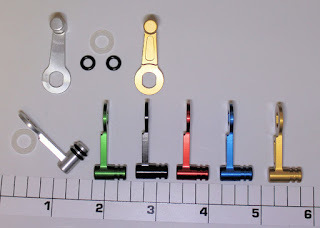 Fast forward 85 years and it's time for something new...."
The "tank top" shift levers are 100% CNC machined from a solid piece of 6061 aluminum. Low profile to accommodate even bent/offset style reel handles. Comes with two o-rings to fit in the grooves of the knob for better grip. Also includes a spacer washer to go between the nut and the lever to prevent electrolysis. 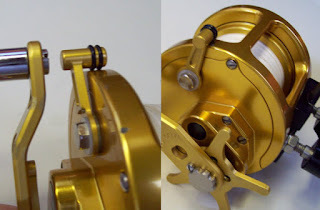 Fits all reels that use the standard 21-66 lever. 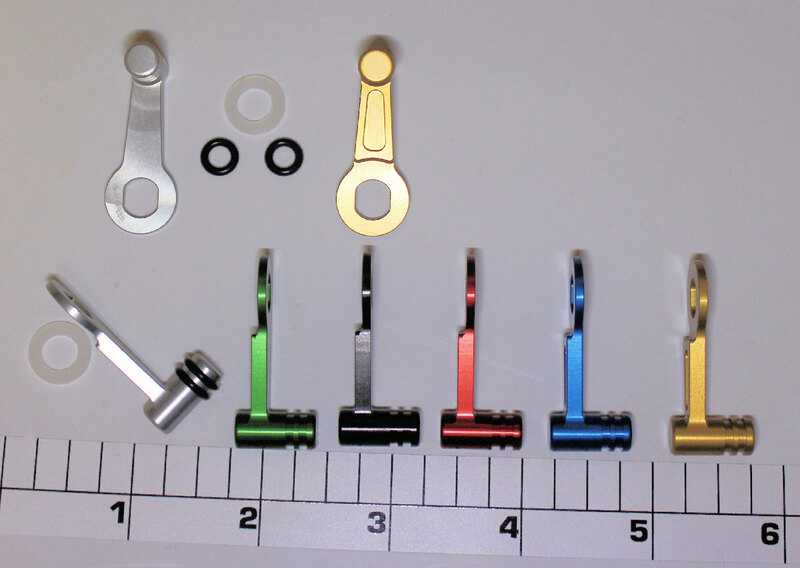 Colors chosen to match most modern aluminum upgrade colors.